Home → News → Have you discovered our fuel delivery service yet? Have you discovered our fuel delivery service yet? 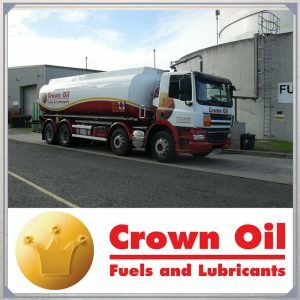 Here at Crown Oil, we specialise in offering a first class fuel delivery service for our customers. We have a range of vehicles that can supply different types of fuel such as Diesel / Derv, Red Diesel, Home Heating Oil, Biodiesel, AdBlue, Kleenburn Kerosene and a range of specially blended Lubricants and Greases. We can deliver fuel all around the UK and can reach just about any location, including rural or remote places where normal deliveries are usually difficult to manage. Our fuel tankers range from baby tankers to larger tankers known as arctic (articulated) tankers. The baby tankers can store 500 litres of fuel whereas the largest oil tankers can each carry up to 36,000 litres of fuel. Our fleet includes over 800 tankers which are strategically positioned throughout the UK. The fuel is stored safely within our tankers with emergency cutoffs to prevent any overfilling or spillages from occurring. Our fuel delivery drivers also oversee the actual fuel transfer process and make sure there are no mishaps. We have continually improved and fine-tuned our fuel delivery services for over six decades, ensuring your fuel gets to you quickly, at the lowest prices around. We have also introduced an emergency fuel delivery service for when you may need to order fuel out of hours. We understand you may not always run out of fuel during the morning or afternoon on a weekday so we have set up an emergency delivery service for our business customers at an additional cost. This service will allow you to receive fuel much quicker than our standard fuel delivery service, usually within a couple of hours from when the order is initially placed. We can guarantee a true nationwide coverage in an emergency situation, supplying you with fuel, whenever you need it the most. What type of fuel do you need to order? How much fuel do you require? What will the fuel be used for? Do you need fuel on the same day or the next day? Will somebody be available to accept the fuel delivery? For standard fuel deliveries, please call our fuel specialist team on 0845 313 0845 – or fill in the fuel quote form for a quick response. The team can also help with any queries you may have on our fuel services. If you are a business customer and need our emergency fuel delivery service, please use our 24/7 emergency number: 0845 313 0845. We do ask that you please give us a call rather than using the online quote form for any emergency fuel orders so that we can be notified in time to meet your delivery timescales.